Are the bores of your shotguns hiding something? They may look bright and shiny, but appearances can be deceiving. When you visually inspect shotgun bores, the brightness that you see could just be the glare from reflected light. Small pits and tiny scratches can be difficult to detect, but these surface finish irregularities can cause moisture to collect, which can lead to rusting. 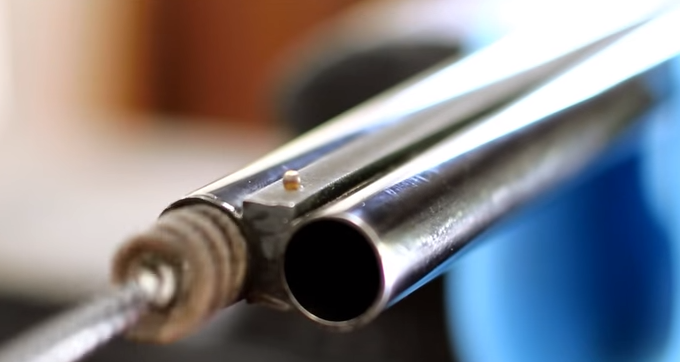 Shotgun bores with rougher areas can also accumulate fouling from carbon, lead, or plastic. If this fouling becomes severe enough, higher pressures and even patterning problems may result. New shotguns need a clean, smooth surface finish, too. If the bores of your long guns have tooling or machining marks, plastic from the shot cup could scrape off and build up with each successive shot.